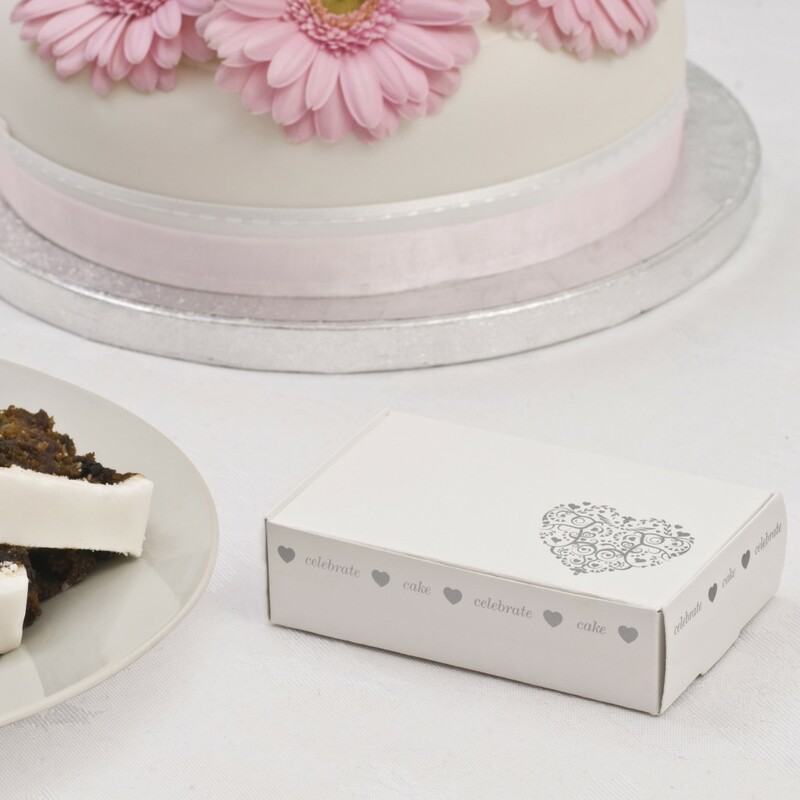 Contemporary white/silver heart wedding cake box. Available in packs of 10. Can be added to the Hearts and Roses Set To Impress box.